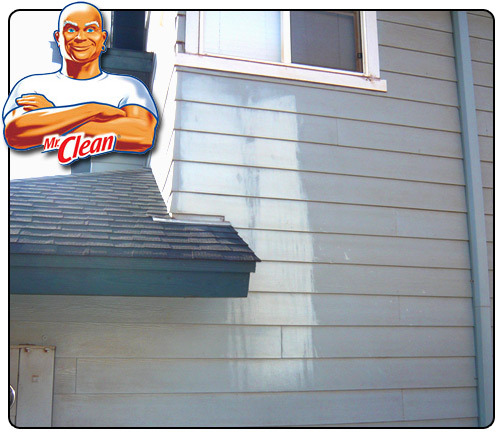 Before and After pictures, Honolulu Hawaii Window washing on Oahu,window Cleaning Mililani, Kaneohe, Wahiawa, Windward Oahu, Kapolei, Ewa beach, Waipahu, Pearl city, Manoa valley, Nuuanu - professional window washing service! Before you fill up that bucket of water or buy you a new pressure washer from Homedepot let me help you save TIME and MONEY. Below are some photos of "do it yourself" jobs gone wrong. 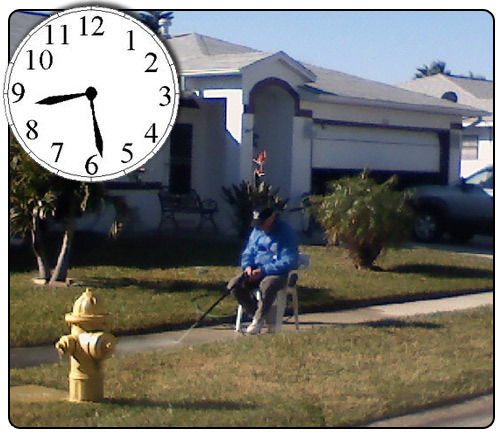 I GOT ALL DAY: One of my favorite pictures I found on the internet was this elderly gentleman using a low output electric power washer to clean his sidewalk. The amount of water coming out of his wand is covering an area about the size of a nickel. :) thats like trying to color a 8.5x11 sheet of paper black with a pencil. I GOT ALL DAY part 2: A new customer of ours in Maunawili valley asked me to come out and wash his driveway area along with his pool deck. He asked me how long it will take and i told him about two hours. He said "OK as long as its not two days like my neighbor down there!" - His neighbor hired some guy with a little pressure washer about 8 times slower then the one professionals like myself use. 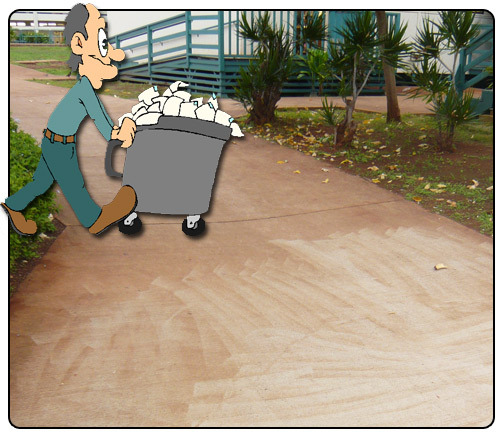 OUR CUSTODIANS CAN DO IT: I took my daughter to school one morning and noticed that the schools maintenance crew did some power washing of the sidewalks. Nothing like clean sidewalks to go with the newly painted buildings. 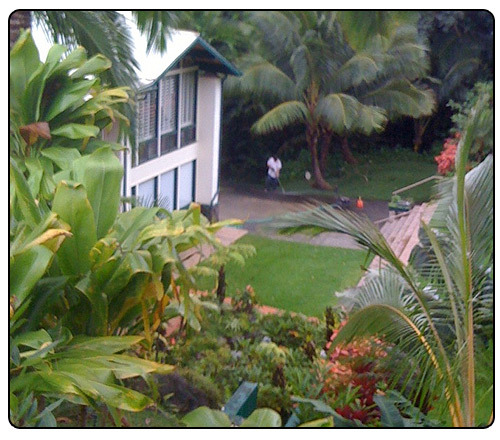 ONE CLEANER CLEANS IT ALL: I was out in Makakilo cleaning someones drive way when I noticed that his neighbors house had a bad stain on the siding. I was told that the person tried cleaning his home by dipping his brush into simple green. 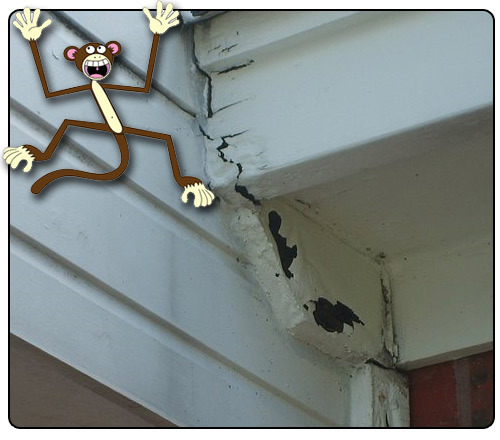 MONKEY POWER: To many people think that pressure washing is so easy even a monkey can do it. Professionals understand how to modify and adjust their equipment for every unique application. For example all pumps on a machine will need an after market flow unloader to eliminate pressure peaks in the line while unit is in bypass mode. The sudden burst of pressure that comes out of the gun along with an incorrect orifice sized tip may very well cause the MONKEY damage below. 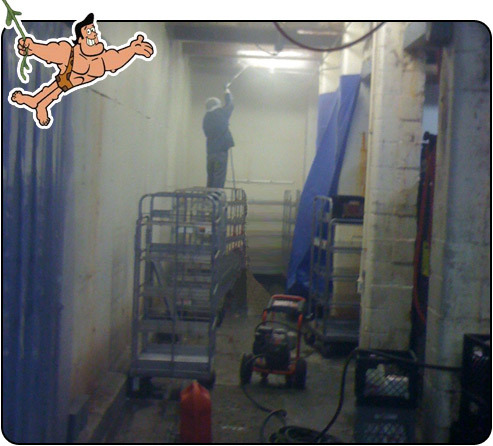 THE AIR UP THERE: This was a pretty funny scene when I encountered it while touring a clients building. A maintenance crew member decided he was to lazy to get a ladder so he climbed up on one of the mobile racks. To begin with he should have had the proper wand size so that he can keep his feet on the ground and not risk breaking a leg while on a ladder let alone a platform with wheels. We Service all areas on Oahu: Honolulu, Kaneohe, Aiea, Makakilo, Kapolei, Pearl city, Mililani, Waipio, Waipahu, North shore, Central Oahu, Leeward Oahu, West Oahu, South Oahu, Waikiki, Daimond Head, Waialua, Haleiwa, Sunset, Laie, Kahuku, Hauula, Liliha, China town, Down town, Ala moana, Kaimuki, Kahala, Hawaii kai, Aina haina, Kailua, Kaaawa, Punaluu, Wahiawa, Kunia, Salt lake, Pearl harbor, Halawa, Kapalama, Makalapa, Airport, Moanalua, Red hill, Manoa valley, Wilhemina, Ewa beach, Koolina, Waianae, Nanakuli, Malili, Kahaluu, Kaneohe bay, Waimanalo. 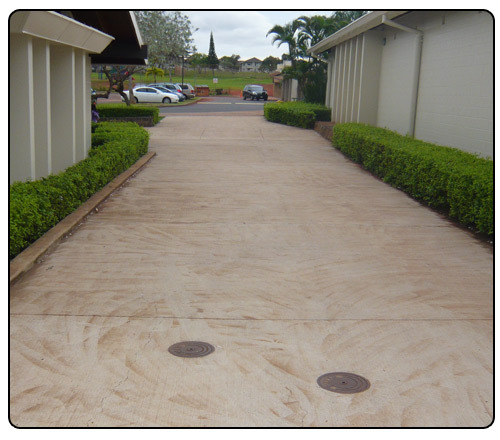 Da Hawaiian Pressure Washer has the experience and knowledge to clean any surface with quick environmentally safe techniques. We service all of Oahu and Honolulu.